Birthday's are meant to be a day of fun, joy and for people to show their appreciation for the Birthday Girl/Boy. Even though each year we get a little older, we can be grateful for the fact that we are still alive and are loved by friends and family. Birthday gifts show off just how well we know each other. How well we can see a persons need or desires and spend that bit of extra cash to make that person happy. While happiness is not found in material objects, it is appreciated and can be found this the gesture of the gift itself... You put time, effort and thought into the gift and THAT is what counts the most. The best thing to happen on your birthday, is to receive a sentimental, personal gift from your friends and your family. Sometimes we can't always get it right, but we try our very best to be thoughtful when it comes to selecting a gift for our family and friends. Although, that thoughtfulness should not stop at the gift itself... it should also be found in the wrapping and gift label. 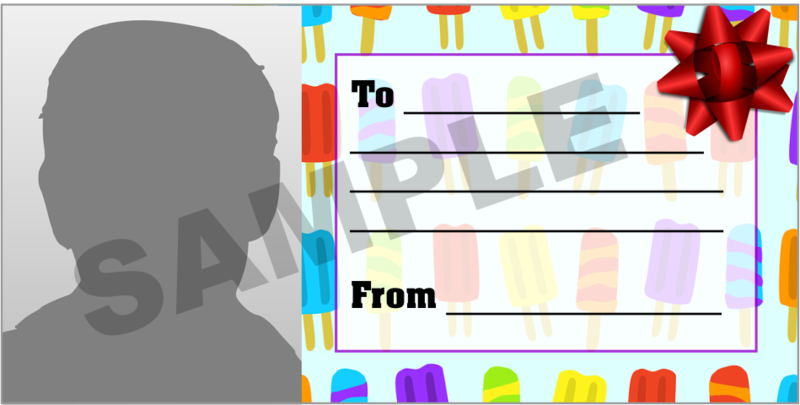 As shown on the left and right, you can make even the gift label special and thoughtful by getting the Birthday Girl/Boy's photo printed right onto the gift label sticker. "How do I get these labels?" 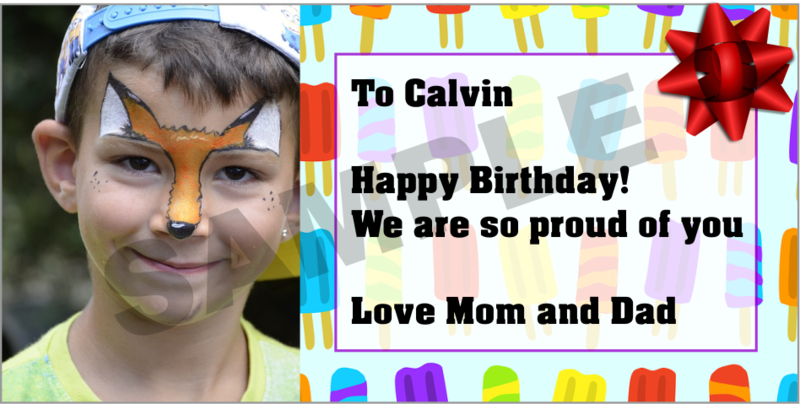 Send us an email with a photo of your friend, family or partner, let us know what special note you want written on the label and we will print it out for you to use on your gifts for the lucky Birthday Boy/Girl. Maybe you need something simpler? 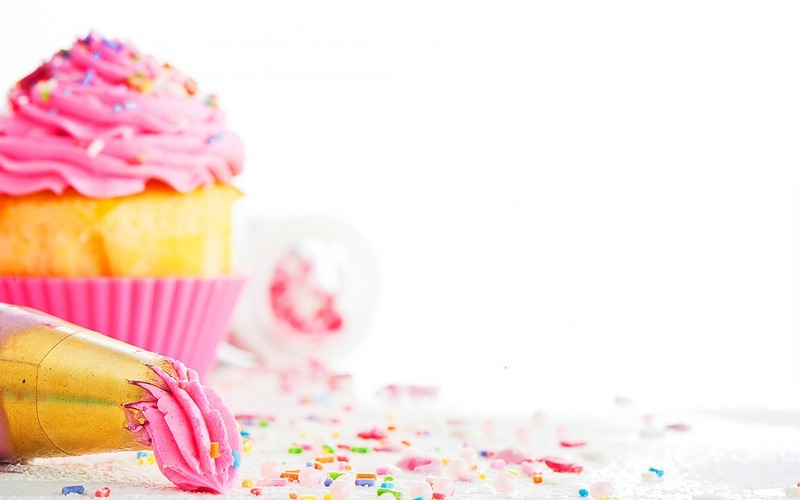 Maybe you don't really know the Birthday Boy/Girl very well? Not to fear, we have you covered. With simple Circle Stickers, you can still add a bit of creativity to your gift without going over board. Because let's face it, no one wants their gifts to look unimpressive, no matter who it is for. 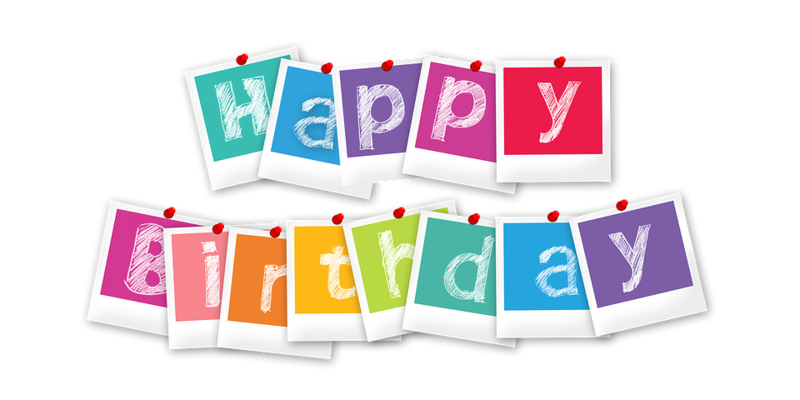 Drop us an email and we can organize some cool Birthday stickers for your gift.